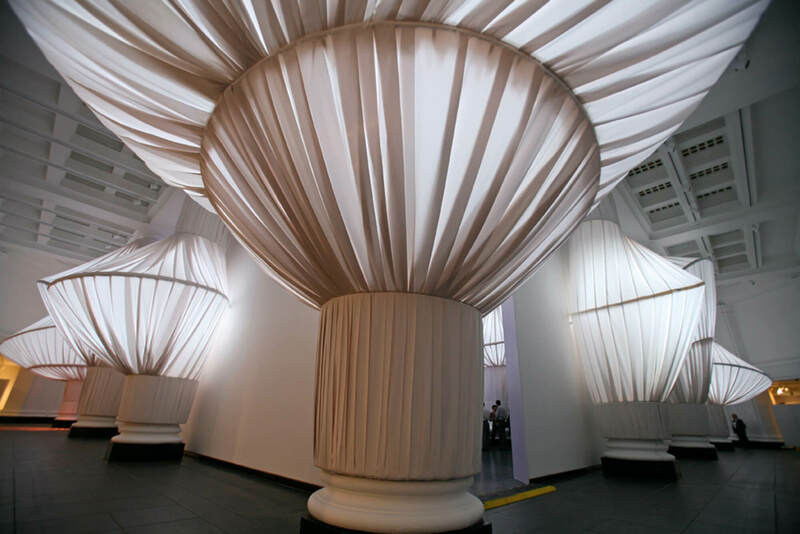 Long known for its design excellence and performance, Sunbrella® fabrics joined the ranks of Norman Rockwell and photographer Sam Taylor-Wood as part of a unique design installation at the Brooklyn Museum. 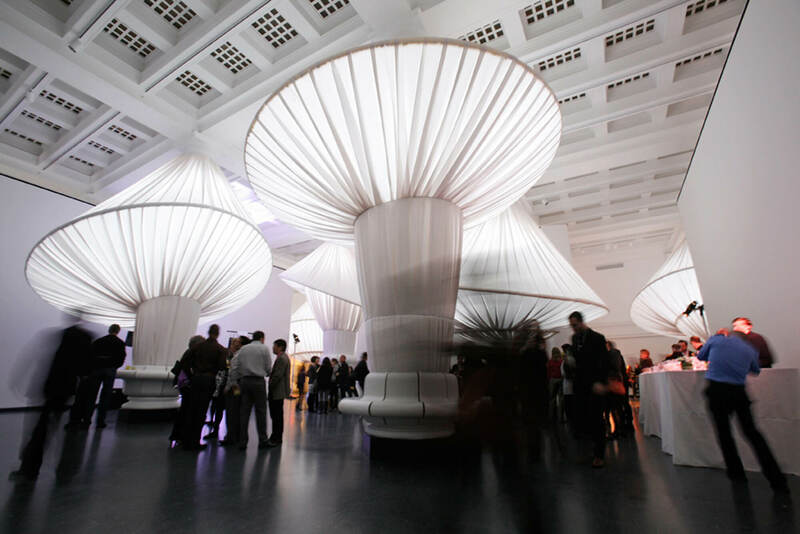 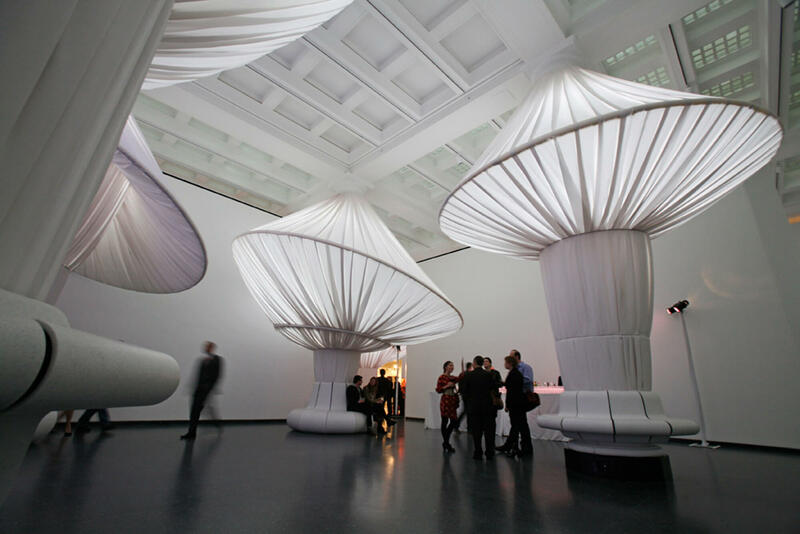 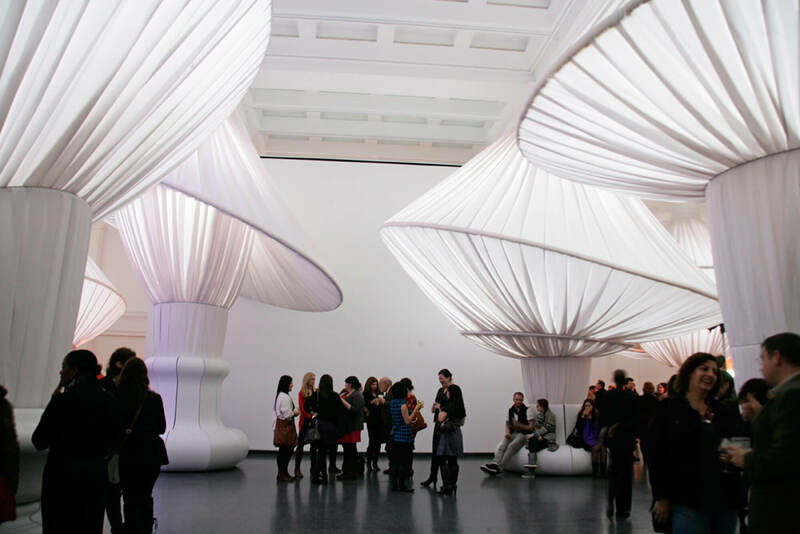 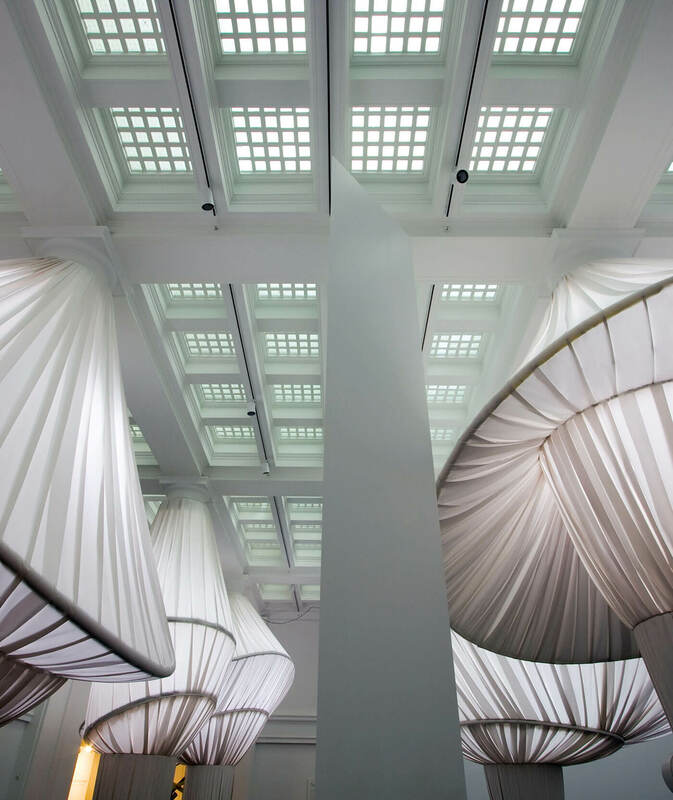 Brooklyn-based Situ Studio conceptualized and created the dramatic installation piece, “reOrder: An Architectural Environment,” turning more than 2,000 yards of Sunbrella fabric into extraordinary canopies that highlighted the iconic columns in the hall. 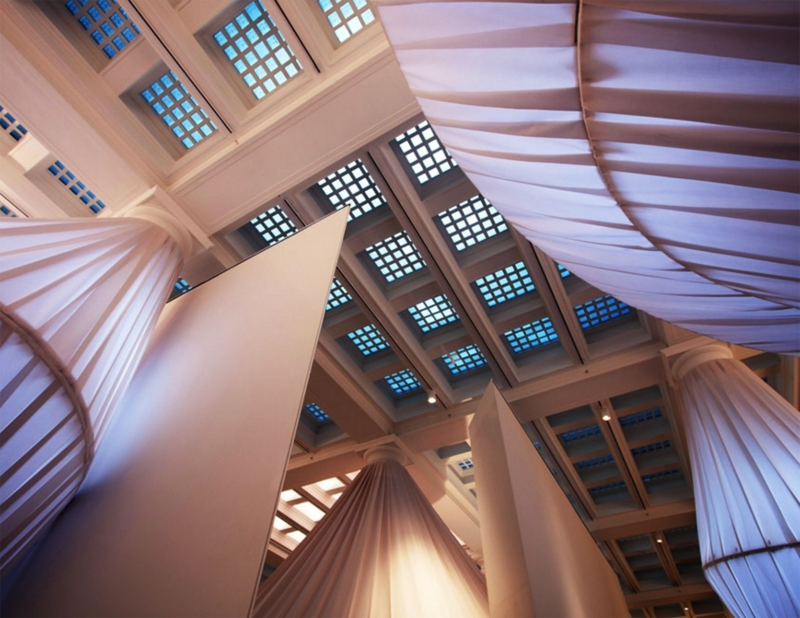 reOrder reimagined the 10,000-square-foot Great Hall by pleating and stretching 2,440 yards of Sunbrella Canvas Natural fabric over metal frames around the classic columns. 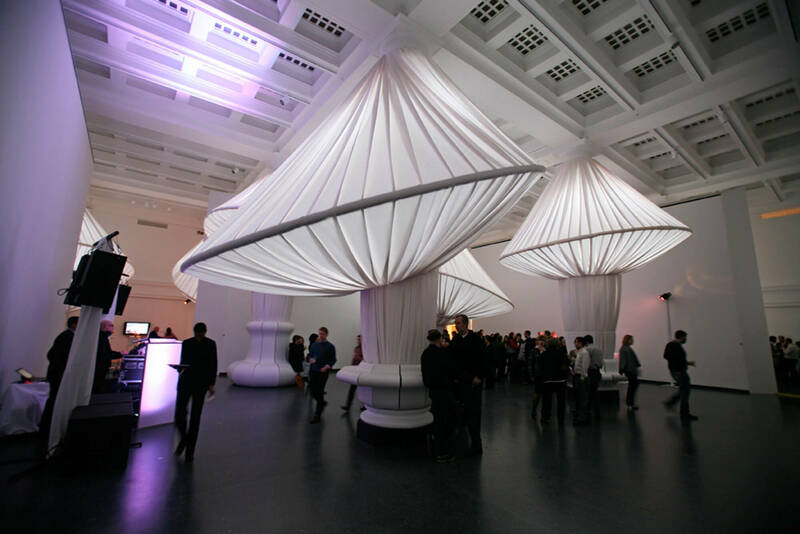 The result turned a classically ordered space into a place for museum patrons to relax and experience the installation.